With the automotive market stampeding to electrify products, it?s sometimes difficult to keep up with what?s available. Until recently, there have been few small premium plug-in hybrids with all-wheel drive, but the number has grown quickly. 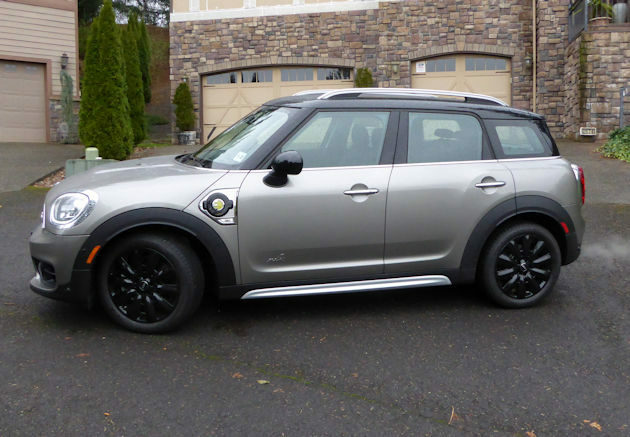 One of the new ones, and the smallest offering, is the Mini S E Countryman ALL4. Over the years the Mini brand, under BMW ownership, has expanded it?s offering to include five models: 2-door hardtop, 4-door hardtop, Countryman, Clubman and Convertible. For 2018, the powertrain offerings have expanded to include a plug-in hybrid version of the brand?s largest model, the Countryman. 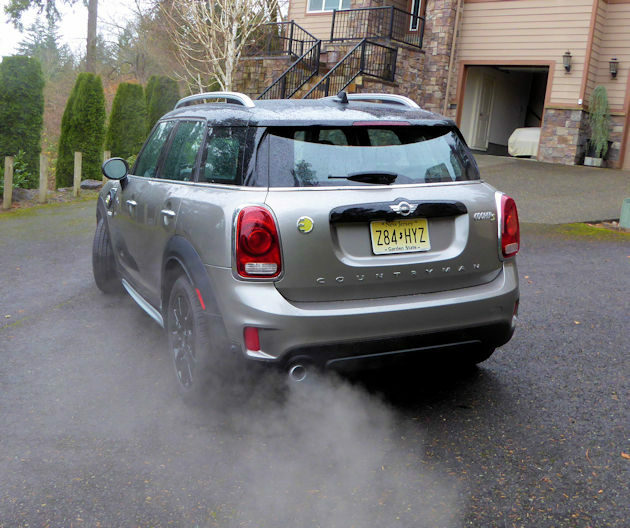 Dissecting the Mini S E Countryman ALL4?s long name the ?S? stands for the performance model, the ?E? means it?s electric and plugs in, and the ?ALL4? means all-wheel drive. As a package, the Countryman offers a sophisticated demeanor with premium features, good fuel economy and the benefits of electric power. 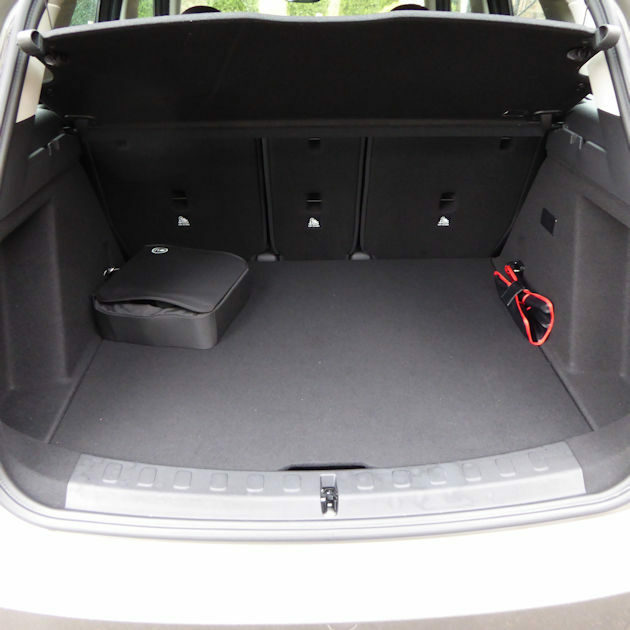 Plus, it maintains the fun-to-drive attitude, room for five adults (four comfortably), and it still has 17.6-cubic feet of cargo space with the rear seat back in place. 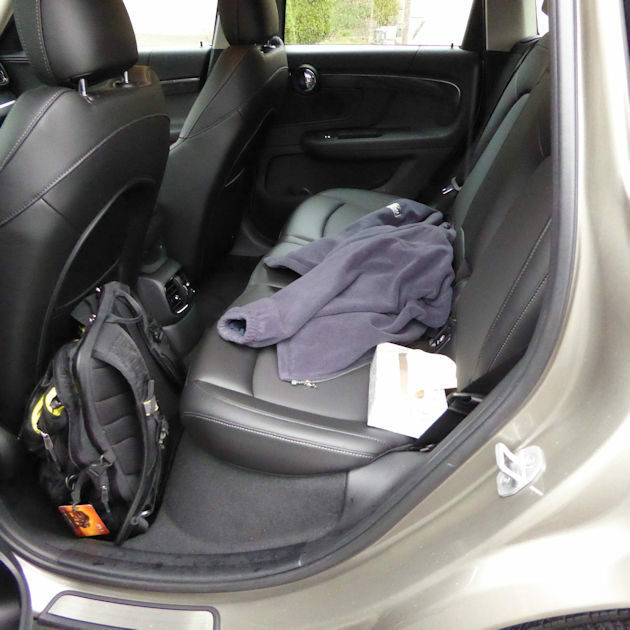 The cargo space can be expanded to 47.6-cubic feet when the 40/20/40-split rear seatback is totally folded. A 134-hp three-cylinder 1.4-liter turbocharged engine provides the power for the Countryman with assistance from an 87-hp electric motor. Combined the pair is rated at 221-hp and 284-lb.ft. of torque. The electric motor uses a 7.6 kWh lithium Ion battery mounted under the center of the car. The Countryman S E will run on the electric motor only at speeds up to 77 mph, with a range of up to 24 miles. Using both the engine and the motor, it accelerates from 0 to 60 mph in 6.8 seconds and has a top track speed of 120 mph according to the manufacturer. The EPA lists fuel economy at 65 MPGe (miles per gallon equivalent) or 27 mpg on gasoline only. A six-speed Steptronic automatic transmission and the ALL4 all-wheel drive is standard on the Mini Hybrid. The new ALL4 system is fully automatic delivering instant power (0.25 seconds) to the wheels with the best grip. No switches or driver intervention is needed. The plug-in function is great for commuters with a short distance to drive each day. By plugging in at home (and at work if it?s available) many owners potentially won?t have to use gas. On the other hand, when needed, the car seamlessly switches to gas and extends the range to as much as 270 miles. 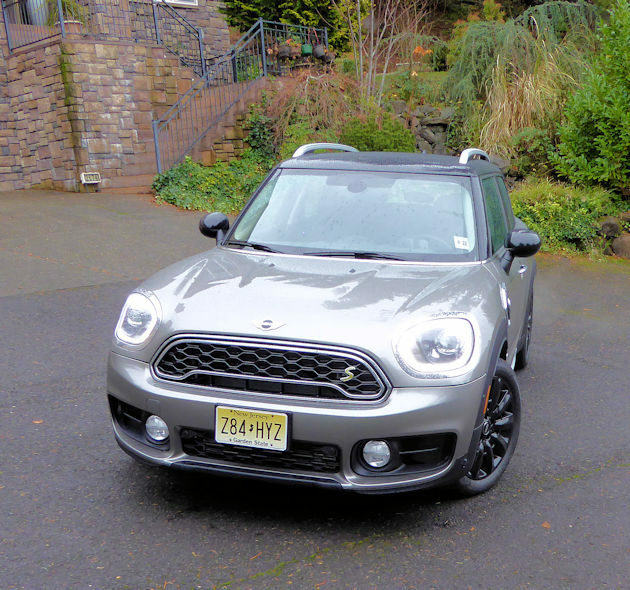 As the top Mini model, the 2018 Mini Cooper S E Countryman ALL4 comes with an extensive list of standard features including panorama sunroof, leatherette upholstery, keyless entry, 18-inch alloy wheels, push-button start, rear view camera with guidelines and a connected infotainment system with 6.5-inch screen. Other convenience features include heated seats, rear park distance control, Bluetooth, auto headlights, rain sensing wipers, LED headlights and bolstered sport seats. 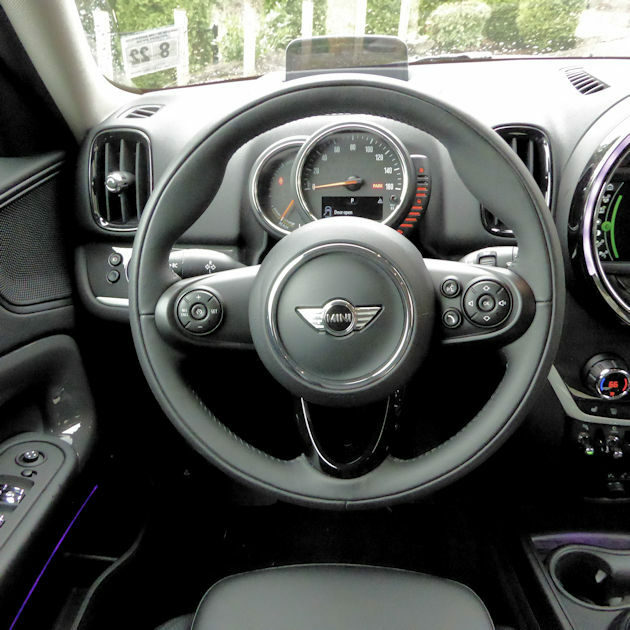 A Technology Package includes a new 8.8-inch touchscreen navigation system, driven by Mini Connected 5.0, a redesigned user interface and operating system,?as well as Qi wireless device charging capability and Mini Find Mate Bluetooth tags. 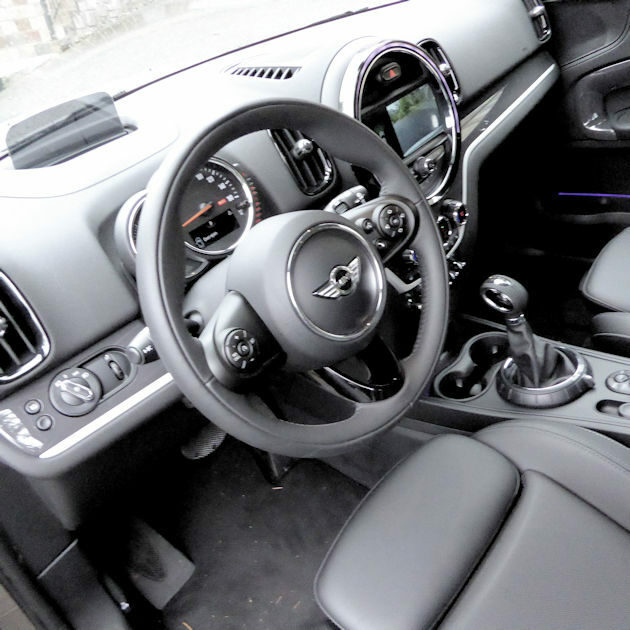 The Mini Cooper Countryman is available in five trim levels with prices starting at $27,450, including the destination charge, for the front-wheel drive Cooper Countryman with three-cylinder turbocharged engine and six-speed manual transmission. At the top of the Countryman line up is the John Cooper Works Countryman ALL4 performance model which has a base price of $38,650. It?s powered by a special 228-hp turbocharged four-cylinder engine. 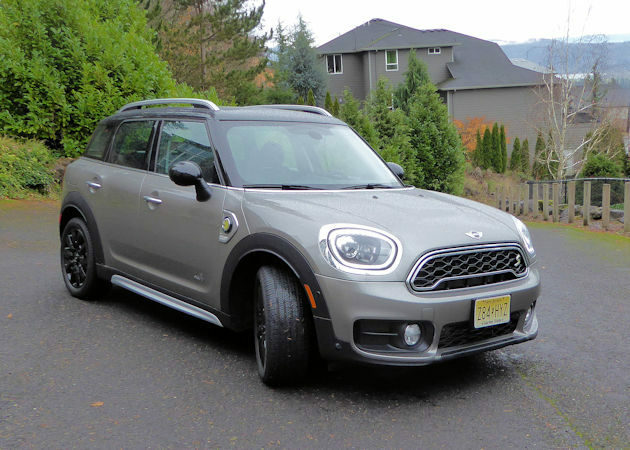 The 2018 Mini Cooper S E Countryman ALL4 has a base price of $37,650. With all the available options the price can go as high as $46,650. 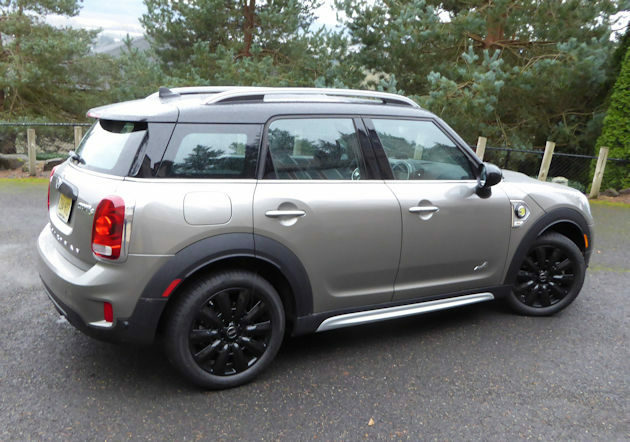 The plug-in Mini Cooper Countryman give owners a premium plug-in hybrid experience interlaced with the fun-to-drive elements and performance offered by all the Mini models. It?s an excellent vehicle for the urban environment but with its 6.5-inch ground clearance is capable of handling light off-road driving and slippery conditions with confidence. And with its wide stance and low center of gravity it is more sure-footed and less tippy than traditional tall SUVs (and that?s a ?huge? for Mini).